GM's Mystery Motors - Part 3 - "TOP SECRET - DO NOT READ"
for Parts one and two of the 1963 GM Mystery Motors, we came across a few additional items we though you would find interesting. Before we get to them, there are dozens of examples of experimental engines that have been built by every automotive manufacturer since the dawn of the Automotive Age. Most of them never get past the dyno-room, but the few that do typically change the course of automotive history in meaningful ways. One might wonder why so many experimental engines were built and tested, only to end up as disassembled scrap. Our assumption is "with each new experiment came knowledge and improvement". A part here and a part there likely went from concept into production engines to improve performance and durability. But there's also the "WOW-FACTOR". Auto manufacturers did (and may still) call it a "long lead" introduction used to build desire and discussion. Plus as we all know, everyone wants what they can't have. The "can't" could be either "yet" or "ever". It also helps to build relationships and followers. 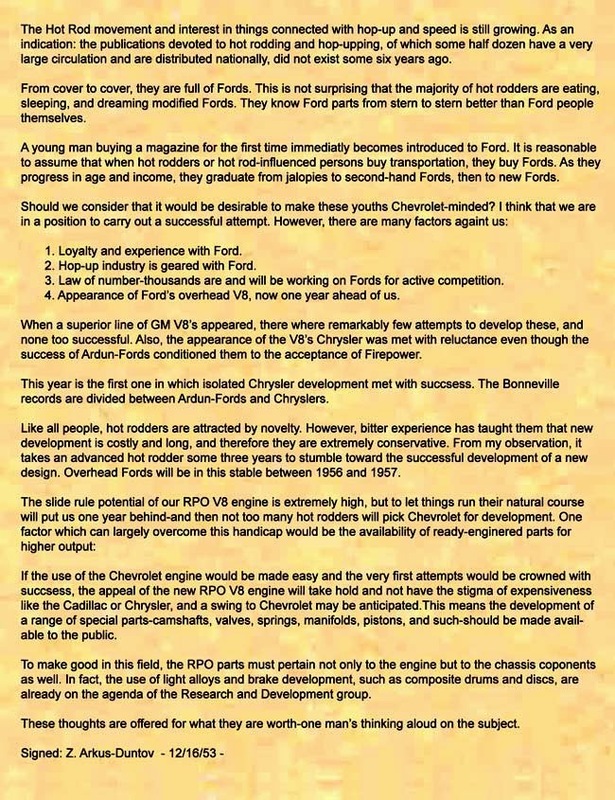 Zora Duntov (father of the Corvette) recognized this point in a letter he wrote to Chevrolet's top management in 1953. 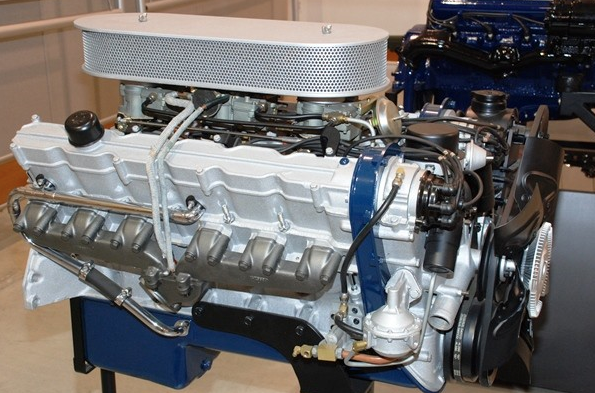 It may have been at the root of both an "over the counter" factory developed performance parts program and creation of a highly focused experimental engine division. Although the LS-7, LJ-2, and LT-2 never made it to production, there were listed as possible options in GM documents. In 1969 Chevrolet gathered writers from various publications at a makeshift drag strip, where they unveiled a 1969 Corvette equipped with an LT-2. The hastily built car was there for only one reason; to have the press release story after story about the incredible new Corvette power plant you (supposedly) could buy next year. The main point is Chevrolet never told them it was a 454 and they completely blew their minds by installing a set of 180° headers. "Gib Hufstader, Corvette project engineer reworked the Turbo Hydra-Matic so it would take a neutral start. It all happened so fast. you just brought the rpm's up to 6000 and pulled the shift lever into drive. Kapow! The brilliant red Corvette exploded from the line. Inside, driving, it always felt at the start as if the car were weaving a bit on the course. But from behind the runs were arrow straight. 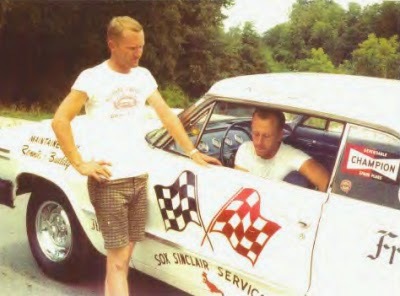 The 10.65 x XS-12 Racemaster slicks had a natural tendency to act a little spongy, like driving on Jello. When you got back you found you had gone 130 mph in 10.89 seconds." "Enthusiasts that they are, the Corvette guys took pity on us and mentioned that if we could get back a few days later, we might get another shot at driving it. As we got further into the deal, we learned, that no one at the press day had bothered, or dared, ask what was actually in the car. Pretty amazing, because the people in the 'Vette group were proud of their blazer and had the information. "The engine is a prototype 1970, let's just say very similar to a current ZL-1 all aluminum unit, but this particular car has a special induction and exhaust system. The pistons are very similar to what we have now, cylinder heads have undergone what you might say is a minor amount of rework which we felt would get the most reward for a minimum amount of effort." For those of you who are unfamiliar with the change in sound 180° headers create, they make a typical V8 sound far more like a Ferrari/ Formula 1 than a drag racer. Here's a muffled example. Here is a similar example with conventional long tube headers. The "over the counter" factory high performance parts program was huge during the '60's and '70's. But as noted in part one, you had to be "in the know" yourself or have access to a performance-minded Dealership parts department. The performance parts book and working knowledge of the performance capabilities was a well guarded "holy-grail". Access to the parts person or parts book often required a "referral". Manufacturers were not eager to "share" the contents with potential competitors and in many cases neither did the parts department or Dealership. 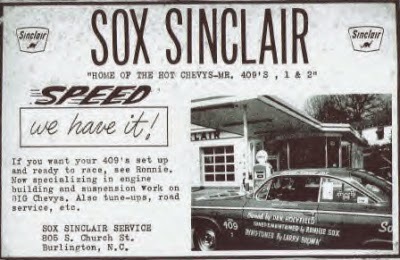 With gas stations (including repair shops, not just gas) "on every corner" and drag racing at at a fever high, it was very common to see Dealers and their dedicated local customers with their own race cars parked out front. This "dog-eat-dog" world made for secretive practices too. 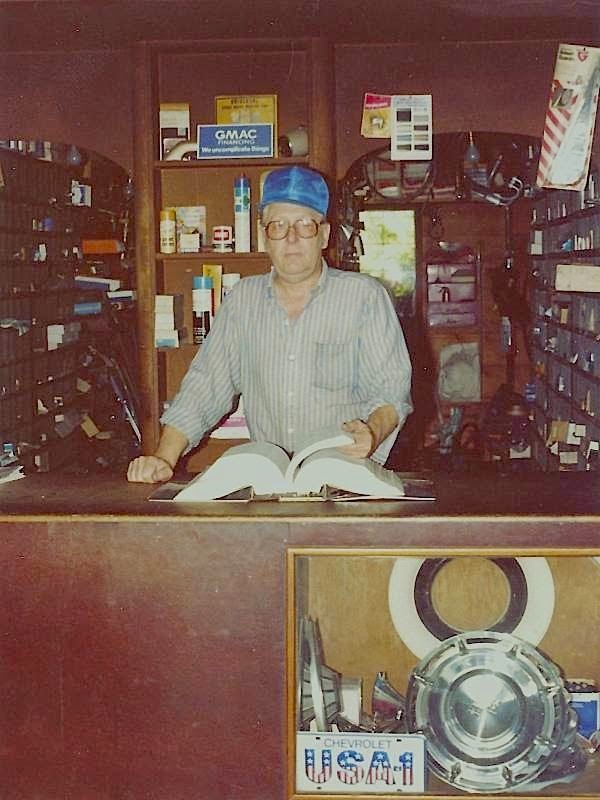 One of our staff recalled a Chevy dealer with two hi-po parts people, both with drag race cars. As the story goes, they often hid "service bulletins" and new part numbers from each other until they could individually order the part from another Dealer and test it. If it worked..."the coyote ate the road runner". Although you can now review and order factory developed high performance parts online, the catalogs offer little detail. You still have to be "in the know" or have access to someone who does.